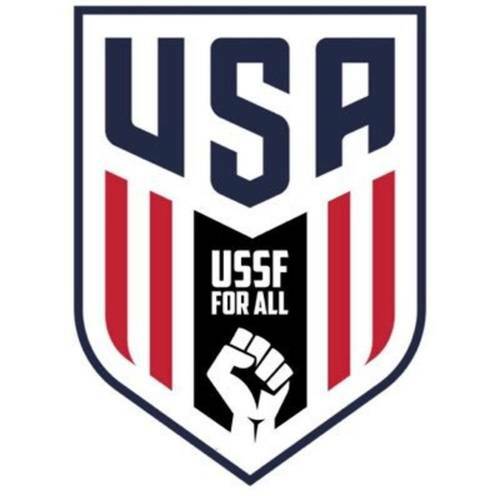 The United States Soccer Federation (USSF) is the governing body of soccer in the USA and its goal is "to make soccer, in all its forms, a preeminent sport in the United States and to continue the development of soccer at all recreational and competitive levels." While the federation has had its successes, there are countless issues that many feel need to be addressed. This petition is meant to highlight grievances repeatedly brought up about our federation and establish solid calls for reform. If this text in its entirety or any Article contained within resonates with you and your experience in the American soccer structure, we ask for you to sign and share this petition with the people in your life that are involved with the beautiful game. Our goal is not to topple the USSF or create a new federation, but to advance the sport we love in the country we love. We want you to join us in creating a voice for the soccer fans, players, and ambassadors of the United States Soccer Federation. While this organization of individuals' next steps may not be publicly clear, voicing your opinion by endorsing this document will show us that there is a true desire to reform the soccer system in our country. Our next step will be to amplify the platform for your voice to be heard. In a time when FIFA has been shown to be filled with corruption, a call for transparency and publication of pertinent documents should not be put on hold any longer. Since the fall of Chuck Blazer, there have been many question marks surrounding President Gulati, Commissioner Garber and CEO Dan Flynn’s record. To clear the records of those in power, while ensuring the integrity of those employed by the USSF, documents and the financial accounts of those working in the United States Soccer Federation should be published to present our federation as a positive and serious model for the rest of the nations of FIFA, and the international governing body itself, to emulate. The purpose of Article I is not to bring down the structure of American soccer and those in power, but rather to create clarity and respect in a time where both attributes are rare. True transparency by any federation is uncommon in today’s society, but America should not strive to be like every other federation. This is an issue that we must act as difference-makers on to clear scrutiny in soccer, especially when it was an agency of our government that spearheaded the move to take down a ring of corruption in the world’s governing soccer body. The USSF should be diligent in making sure corruption and conflicts of interest are far from our doorstep. However, U.S. Soccer exempts from its conflict of interest policy, “any constituent or affiliated member entities of U.S. Soccer”, meaning that executives of the for-profit entities MLS and Soccer United Marketing (SUM) who are involved in soccer governance in America may write and contribute to the U.S. Soccer bylaws, policies and rules, as well as vote on proposals. These actions can directly affect the profitability of their for-profit interests and there are no checks on these individuals in place. These problems, which contribute to a conflict of interest, are further illuminated by a U.S. Soccer policy which requires that any potential conflict of interest, “must be disclosed and approved by the Chief Executive Officer or Board of Directors.” Through this policy Daniel Flynn (CEO and member of Board of Directors at USSF) and Sunil Gulati (President and member of Board of Directors for USSF) are placed in a position where they must disclose and approve any potential conflict of interest in their own dealings to either Flynn himself or the Board of Directors, which they sit on. In order to achieve true transparency, there must be a high-level, independent evaluation of U.S. Soccer’s relationship with MLS and SUM. Under Article II the disparity between FIFA’s bylaws for federations and USSF’s governance will be addressed. All around the world, federations hold their play and system to the standards demanded by FIFA. However, the United States Soccer Federation continues to exempt itself from specific bylaws that are laid out by the international governing body. These not only stifle the growth of the United States’ development system but also make it harder for our players to stay competitive with both domestic and international competitions abroad. While domestic leagues around the world abide by the FIFA International Calendar, America’s top leagues do not. Most importantly this calendar dictates when international breaks in league play should be so that players who represent their country in the global game, be it for youth sides or the top-level national team, will not be forced to make a decision between playing for their club or country. USSF refuses to hold their domestic leagues to this calendar and this creates problems for international players that come to America as well as the USMNT players who must abandon their teams during the season to represent their country. This can create substantial problems where many teams are short of integral players during crucial moments of the season. Although MLS has gotten better at adhering to FIFA’s calendar by scheduling less games during international breaks to make sure that their franchises are not short of key players, this responsibility should not fall on the league. The federation must step up and demand league structures that abide by FIFA’s calendar to give the best opportunity for our national teams’ successes as well as development for players in domestic leagues. The USSF has refused to enforce the solidarity mechanism and training compensation, as is seen around the world, to ensure that local clubs who develop world class players make money from their professional contracts. The perfect example of the Solidarity Mechanism being ignored in the American system is DeAndre Yedlin, although there are many different cases that illuminate this point. Famously, Yedlin’s youth club, Crossfire Premier, filed a grievance with FIFA when they were told that they would not receive payment after Yedlin’s transfer from the Seattle Sounders to Tottenham Hotspurs. This club was entitled to 5% of the $4 million transfer fee from Yedlin’s transfer according to FIFA’s bylaws, totaling $200,000. For a club whose roster fee for youth players was $600 in 2012/13, that cut would translate to roughly 333 players who could have played one season free of charge for a year. There would be many questions in enforcing solidarity payments (e.g. Should NCAA players who are drafted, not transferred, have their fees be subject to this rule as well? ), but the trickle-down effect of the money that is currently concentrated at the top of our soccer system would encourage youth development and make it much easier for successful academies to grow their programs. Under Article III, it was believed necessary to break down U.S Development grievances and reforms into three of their very basic elements. It is firmly believed that the issues discussed in these sub-articles, and countless others that coaches, players and fans have voiced, should be brought to the forefront in discussion of change in USSF’s governance. After the 1998 World Cup, The German Men’s National Team rebuilt the youth development system to establish a long term plan of international dominance. This restructuring is popularized by the successful book Das Reboot, by Rapheal Honigstein. The German Youth Academy rebuild designated a set amount of funding to be poured into the youth academy system at all clubs along with elite talent centers spread throughout the nation, from high metropolitan areas such as Berlin to the countryside of Bavaria. The rebirth of German soccer arrived to showcase that their new model of youth development should be one that is closely followed. This leads to the concern on why the U.S. system is struggling to develop homegrown, world class talent produced in the academies of local clubs for the national team. One may argue that the status of youth in the national team is stronger than ever, but one must notice the fact that the hottest prospects are currently being developed in Germany. Although young players leaving to increase their chances of success and ability is great, this does highlight the next issue that falls under Sub-Article III.I. The second grievance is the issue of compensation of small clubs for the development of youth players. The most notable anecdote would be the case previously mentioned of U.S. international DeAndre Yedlin. DeAndre Yedlin transferred from the MLS side Seattle Sounders to the EPL side Tottenham. Before his days with Seattle, Yedlin played for a small, non-professional team that manages to make ends meet. With proper compensation, Yedlin’s former club would have made thousands of dollars and could have allowed multiple teams to play for free across all levels to further development, local growth, and profits. Unfortunately for the club, they were not properly compensated. Tottenham reportedly notified the club and said that all grievances are to be handled with the USSF. Potentially due to the fact that this would be taking away funding from a bigger club in the top division of the USSF, the case of providing compensation for Yedlin’s club has largely been put under the mat and ignored. Only time will tell if compensation is properly awarded to the club for developing a high level youth prospect. Until the smaller clubs are properly respected by the USSF and provided the funding that is rightfully the club’s after a youth player sale, U.S. player development will continue to suffer largely due to a lack of financial backing. The process and outreach of ingraining youth players into the American developmental system is constrained by the current standard of families paying large fees ($500-1500 a year in some areas, there are stories of families spending over $2000 in one weekend) for their child to have an opportunity to participate in the world’s game. This process of large payments to participate restricts many players from low-income backgrounds from advancing beyond recreational leagues in the sport while also making soccer a non-option for families below the poverty line and those just earning enough to provide a decent life for their family. While the 2015 update of EPI’s Family Budget Calculator claims that on average, parents of a two-child family in America need $63,741 to provide a secure and modest lifestyle for their family, the average income for an American family in the same year was $56,516 according to the Federal Reserve Bank of St. Louis. Those facts show that there is already a large struggle to ensure a good lifestyle for your family in America, and the problem could be exacerbated by the demand of high bills that come with competitive sports. Youth sports in America have increasingly been adopting a pay-to-play model and while soccer is not the only sport guilty of this, it may be one of the biggest offenders. As youth sports has grown into an over $7 billion industry, parents can expect to pay $30,000 on their child’s sporting career from ages eight to 18, with the costs of elite teams skyrocketing to over $10,000 a year. Soccer, a game that only requires a ball to play, could and should be breaking this disappointing trend witnessed through American youth sports. In the United States, an aspiring coach can face many challenges. Much like the issues faced with the “Pay to Play” style of youth soccer, there is also a “Pay to Coach” style. An aspiring coach can get into online courses, or “e-learning”, for roughly $50-$150. However, these online courses only cover the first levels. The only issue one can face in these stages is the cost. Once the later stages are reached, an aspiring coach will need to attend courses over a weekend. This is where the real issues begin. The courses are incredibly limited and it is incredibly expensive to rise through the ranks, with B license costing $3000 and an A license costing $4000. Compare this to Europe where the top UEFA coaching license, the pro badge, costs €430 in Germany. Beyond the price of the course itself, some levels of coaching badges may happen only once a year and the courses could be across the nation from an aspiring coach. If a prospective coach is struggling to find the funding to pay for the course, they also must account for the issues of paying for a flight, a hotel room, and missing work to get to the classroom. The issues coaches may face in the U.S. are not faced in Europe. In Europe, a higher level of funding and development is placed into their coaching system. There will always be a steady flow of new, promising coaches funneling through the ranks to lead the charge. In America, the federation acts as a gatekeeper to produce coaches that abide by their mentalities. In a constantly changing sport, the development must mirror the change and grow to adapt alongside the game. Unless the current federation takes strides to fix this process, development in the United Stated will remain stagnant. This will result in repeated tactics, stale games, and weak international performances. The federation must change and evolve its outlook and process of developing coaches, which cannot happen until reforms are made. The preeminent national team that the USSF fields is undoubtedly the United States Women’s National Team. However, these women, the same women that played in the 2015 World Cup finals that ranked as the highest rated soccer match in American history (estimated 30 million people watching from the US), are still embroiled in a bitter fight for equal treatment from their employer. The women’s team’s frustration is understandable when you break down pay differences between the men and women. Men get paid per game whether they win or lose, with a bonus of $17,625 for winning. The women are paid on salary contracts (agreed to in 2005 and 2013) and can only earn up to $72,000, with small bonuses of $1,350 for winning. In 2016, the men played 19 games giving them each a possibility to win $334,875 in bonuses (they only won 12 of those games equaling $211,500 of winning bonuses). Conversely, the women played 25 games, winning 23 of them which only equaled $31,050 in bonuses. Regardless of the nature of the games played, this consistent structure illuminates the stark inequality in the pay available for the more-dominant women’s team. Rich Nichols, the attorney representing the USWNT explained that what the women are searching for is to earn the same money the men are making. This means a $5,000 minimum per game, $8,000 for tie, $17,625 for win. It is also important to note that the 12 players USSF pays over $1 million, six were women. The top-earning man made $1.4 million compared to $1.2 by the top-earning woman. While that seems to suggest that this problem is less severe than the women claim it is, seventy-five percent of the USWNT’s compensation from 2008 to 2015 is directly related to bonuses from winning championships, meaning that while the men are getting paid to play, the women are getting paid to win. While the women have previously negotiated to acquire these contracts, Becky Sauerbrunn explained that the women, “didn’t know how to fight and which ways we could fight (when the agreement was proposed in 2005 and 2013).” Hope Solo’s comment on 60 Minutes was more damning. The goalkeeper said that while she was asking for more pay she brought up the men for comparison. Solo said that in response, U.S. Soccer became agitated and said “don’t bring up the men.” But it’s hard to not bring up the men when in 2015 Solo earned $366,000 playing in 23 games while USMNT goalkeeper Tim Howard earned $398,495 playing in only eight games. As President Obama said after the women’s World Cup win, “This team taught all of America’s children that playing like a girl means you’re a badass.” USSF, our soccer world must confirm this and the easiest way to back that statement is to pay them like the badasses they are. Under Article VI, the primary focus is the argument of the United States league structure being a closed or open system. However, the discussion will be directed towards the issues, the economic and competitive effects, and the popular opinion of the closed structure. Article VI is a crucial component to this document and is co-dependent with many of the Articles listed above. The American soccer leagues operate in a closed-league structure. This means that, like most other American sports leagues (MLB, NBA, NFL, etc), there is a constant group of teams that play year-in and year-out within one league. In soccer the first division is MLS, but there are many other leagues such as NASL, USL, NPSL, PDL that all have their own set of franchised or independent teams. The resources being grappled over by soccer clubs are fans, viewers and eyes which will always define the competition to stay relevant. However, a closed-system, which will always naturally produce many battling leagues, in a country with a wide and deep love for soccer diverts where the competition takes place. In the American system leagues compete against other leagues for eyes on their game broadcasts and butts in their seats when that should be the role of the teams. Fans proudly wear MLS, USL, or NASL fandom and see themselves as direct rivals of each other as their leagues compete for investors, stadiums, fans and divisional sanctions. Just look at the mockery exhibited by fans of other leagues when rumors about the NASL’s demise swirled, warranted or not. Instead of establishing a fixed system in which these leagues are set in stone in a divisional position that would be naturally filled out by the growing demand and interest in the sport, USSF has turned a blind eye to the squabbling and allowed league-based competition to continue. While the federation has reportedly helped mediate business with leagues so that as few clubs fail as possible, they have not done anything to address the source of the problem. USSF is still accepting divisional changes, with USL rumored to be sanctioned as D2 within the next year. Clubs and leagues have begun to fail and USSF, the body in charge of promoting the game in our country, has done nothing to curb this infighting. They have applied a bandage but not treated the wound. While competition is healthy and good for a sport, we must be sure the dynamics of competition promotes the sport instead of harms it. Two top-flight teams in the same area, say New York, Red Bulls and NYCFC, can be great for competition because it encourages more fans and can create an intense rivalry. 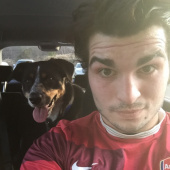 Two leagues vying for a divisional position creates instability for wide swaths of healthy clubs and leads to vacuums of soccer across the country when one of these leagues “wins” while the other folds. This is leading to a new iteration of the “Soccer Wars” which ravaged the sport throughout America in the early 20th century. The American soccer landscape is witnessing a healthy and growing amount of investment into its league systems. Even with the possible collapse of NASL, investors are appearing to push teams into USL and MLS. More striking is the number of wealthy American business and team owners that are investing in European clubs in open systems. These owners are obviously looking to profit off of the highly successful industry that is soccer in a global market, but it begs the question of why they would not look first to lower division American sides to try and create a soccer powerhouse here. The reality of the situation is that the path from investment to success in American soccer is held by the gatekeeper of the first division. A report on promotion and relegation published by Deloitte states: “Promotion and relegation will motivate ownership at all levels – by enabling the ambition of owners further down the pyramid (through promotion), as well as by removing the safety net for owners (through relegation), this will motivate ownership to invest and/or develop their club so as to capitalise on the benefits of promotion or avoid the penalties of relegation.” Not only does the closed system discourage new investors from putting their money into establishing a new lower league side in the American system, but it also gives no incentive to invest money into an existing team in hopes of improving them and moving up the system. All investors in lower divisions must either be complacent with remaining a lower league side or they must be able to pay a $200 million fee (and growing) down the road to move into America’s first division. Deloitte’s report showed that promotion in America leads to an immense jump in attendance (822% increased attendance for the Seattle Sounders when they bought promotion), so it is clear that a closed system limits the ability of lower league investors to maximize their return on investment through means of increasing their team’s skill level. As mentioned in previous Articles, the American system is not held to the standards of the FIFA bylaws. One of these bylaws is the tenants of a merit-based league competition in an open system. Although the USA and Australia were granted exemption from this rule in the 2008 FIFA congress, that was only under the terms of an eventual move towards promotion and relegation when the system was healthy. The ethos of American capitalism and excellence lends itself to the idea that those who are strong should profit and succeed while those who are weak should be forced to change their tactics or die. While this argument can be applied to the finances of clubs and ownership making the right financial decisions, ultimately the goal of a league system should be to promote skill on the field. The closed system does not reward those that develop the skill of their club in any way. There are many different polls that have indicated that fans are in favor of a system of promotion and relegation. FOX Soccer had this segment discussing their poll where fans overwhelmingly said they wanted promotion and relegation. The Deloitte report reported the there is an 8:1 ratio of fans for promotion and relegation instead of opposed. Of the 1000+ people polled in the report, 88% support promotion and relegation. This form is a currently open poll to try and gauge interest in promotion and relegation. If you want your voice heard, vote in that survey so that this can be an ongoing and growing process to determine what American fans truly want. It is unreasonable to say that USSF should step in and float any team that is having financial or organizational trouble when the negative aspects of an open system take place. However, the federation should work to build a system in which clubs have the greatest opportunity to live and thrive to their greatest potential. If a club has a great fan base but no desire to move upwards through the divisional structure, like some fans of Detroit City FC want, they should be allowed to continue as a lower division side without having their urban area bought out by the top division. If a team has a great squad but not enough income to carry them in a lower division forever, like the New York Cosmos, the divisional sanctioning should not restrict their opportunity to potentially advance to D1 so that they can strengthen a fanbase around the allure of promotion. Don Garber has previously stated that promotion and relegation is the ultimate goal for the country and that it will happen when the country is ready. So the question ultimately becomes what does “ready” mean? If there are certain standards that must be met (a certain number of clubs in each division, on-field skill levels, club financial levels, infrastructure standards, relative divisional parity, etc) we call on USSF to state what those standards are and to become transparent about what the American soccer climate should look like before the transition to an open system. If this is attainable, which many fans think it is, we call on USSF to adopt a timeline to the eventual adoption of an open system.